Evening of laughter ! 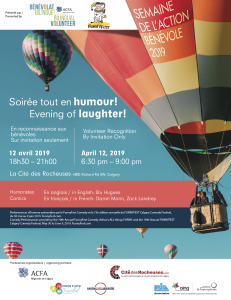 Volunteer recognition night. 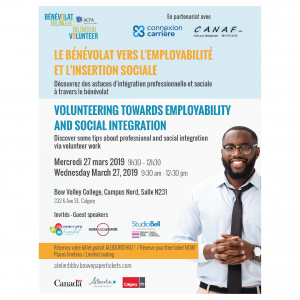 Contact us at info@bbbv-calgary.ca for more details. 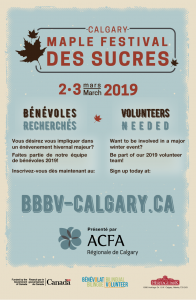 BBBV Calgary is launching its serie of workhops, check out our March newsletter to learn more ! Happy New Year to all ! Go check out our January 2019 Newsletter. 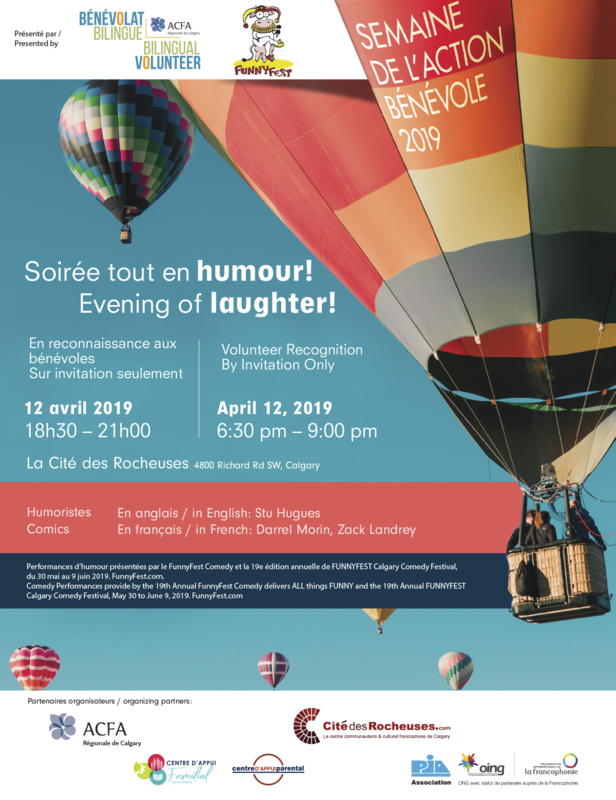 The Calgary Maple Festival is looking for volunteers for its 2019 edition ! 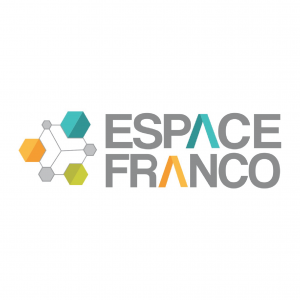 Espace Franco is looking for new members to join its Board. The 2019 Canada games in Red Deer are looking for 5000 volunteers!